Funeral services were conducted Tuesday, February 21st at 11 a.m. in the Morgantown Church of God for Opal Voncille Morgan, 86, of Morgantown, who passed away on February 18, 2012. Officiating was Dr. Louis F. Morgan, her great-nephew, and Rev. Cory Odom, her pastor. Music was provided by Lynda Regan, Milton Kyzar, Sandy Bean, Diane Morgan, Pastor Cory Odom, and Beverly Williamson. Interment was in the Morgantown Cemetery. Miss Morgan was born June 29, 1925 in Morgantown to C.S. and Audrey Allison Morgan. She was educated at West Pearl High School in Morgantown and was a 1942 graduate of Columbia High School. She earned an associate’s degree from Lee University in Cleveland, Tennessee, in 1947 and a bachelor’s degree from the University of Southern Mississippi in 1949. She also took graduate courses in journalism at Evangel University in Springfield, Missouri. At age 12 Opal joined the “Aunt Jane Letter Club” and began writing articles for publication in The Times Picayune newspaper. This began her life-long love of journalism, and for more than 60 years she was published in various newspapers and Christian periodicals. Often she was published under the pen-name Marianne Marsh. Miss Morgan was well-traveled and had several culturally diverse articles published, including a social view of life in communist Russia and China and about religious customs in India and Israel. During World War Two, Miss Morgan worked at Camp Shelby in the medical supply office and as a junior stenographer before being promoted to assistant secretary to the Major. She then worked in the Marion County Chancery Clerk’s office. Following a spiritual conversion in December 1944, Miss Morgan united with the Church of God at Morgantown and then enrolled at Lee University in Cleveland, Tennessee. She desired to be a missionary with the Church of God (Cleveland, TN), but the denomination was hesitant to endorse single women following World War Two because of unrest overseas. Miss Morgan then focused her ministry in the local church, Christian publishing, and supporting missionary efforts through the Church of God (Cleveland, TN) and Christ for the Nations in Dallas, Texas. Through the years she was a key financial supporter of numerous missionaries, orphanages, overseas Bible schools, and other mission projects, which she funded through investments with missionary organizations. From 1952 to 1954 she lived in San Antonio, Texas, where she taught English and served as an administrative assistant at the Church of God International Preparatory Institute, which prepared Hispanic nationals for missionary service in their native countries. She then taught in Christian schools in Florida, Texas, California, and South Carolina. Locally she taught public elementary school students at Oakvale and West Marion. She also worked several years for a CPA in Jackson and retired in 1986 after serving more than 20 years with the Marion County Welfare Office, including seven years as supervisor of the Food Stamp office. 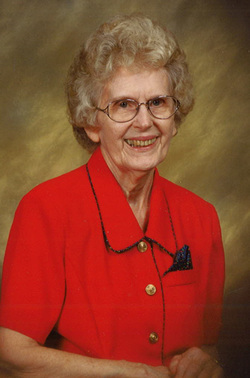 Miss Morgan was an active member of the Morgantown Church of God for more than 65 years, where she served as a teacher and children’s and youth worker. In 1986 she reorganized the Women’s Prayer Band and also organized a weekly nursing home visitation program, for which the Morgantown Church was awarded state-wide recognition in 1995. She was active in community visitation to the sick and shut-ins, and she helped organize the Morgantown School reunions for many years until a decline in her health. She was preceded in death by her parents and two brothers, Eldridge Morgan and Feldon “Bud” Morgan. She is survived by one sister, Ryvers May of Columbia; one brother, John Kenneth Morgan of Perkinston; caregivers, Larry and Mary Ann Morgan of Morgantown, and several nieces and nephews. Miss Morgan was well-loved by numerous individuals whom she encouraged and mentored throughout her lifetime. Pallbearers were nephews Ken Morgan, Krae Morgan, Kirk Morgan, Nick Morgan, Chris Morgan, and Billy May and cousin Cecil Morgan. Honorary pallbearers were members of the Morgantown Church of God Women’s Sunday School class. Miss Morgan had requested in lieu of flowers those wishing to make a memorial tribute to donate to Church of God World Missions for international missions schools. Checks payable to “Church of God World Missions” can be mailed directly to the Opal Morgan Memorial Missions Fund in care of Church of God World Missions, P.O. Box 8016, Cleveland, TN 37312-8016. Please be sure to include Project # 750-0069 with your donation.